Last December my husband and I adopted a Russian Blue kitty that we simply love. However, as adorable as he is, he can be a little destructive. Sadly, he has completely destroyed the leather headboard in our bedroom. I have had to face facts that for now we need something that he can’t walk on or want to scratch. 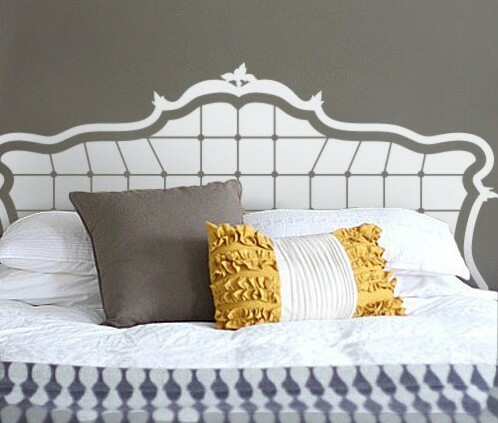 I started poking around for design ideas and discovered decals that mimic the shape of a headboard but are obviously flat and won’t interest our Maxim cat. Brilliant! 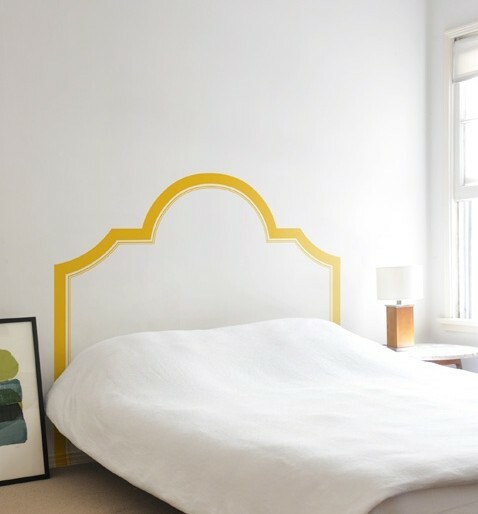 Of course you can also paint the shape on the wall if you are the DIY type. I’m not sure which idea I like best but am thrilled to have found such a creative solution. There are some really cool options! 07 Aug	This entry was published on August 7, 2013 at 7:58 am. 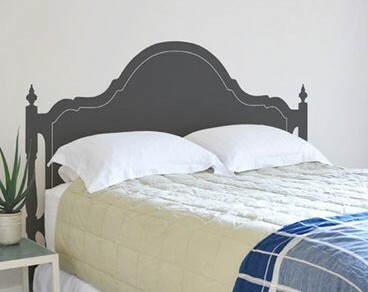 It’s filed under Decor, DIY and tagged Cat, Decal, DIY, Headboard, Paint, Russian Blue. Bookmark the permalink. Follow any comments here with the RSS feed for this post. 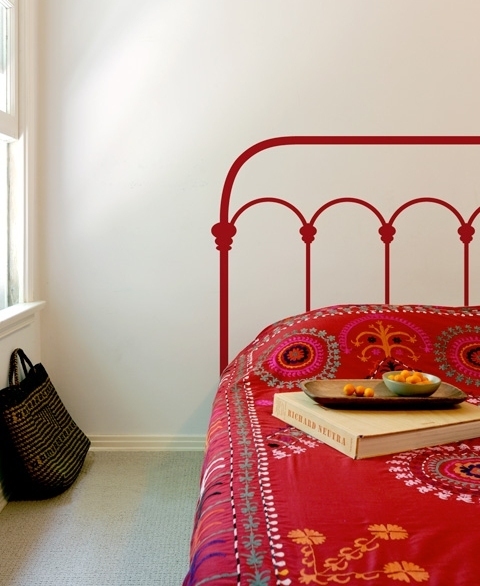 We need a head board. I love this idea. Will give it some thought.